Born December 30, 1925, in Selkirk Manitoba, to James and Evelyn (Comber), passed away peacefully, October 12, 2018, in his 93rd year. Andy is survived by his wife and soul mate of 70 years, Margaret, his four sons Bob (Monica) of Kelowna, David (Maureen) of Ponemah, Manitoba, Paul (Janis) of Abbotsford, BC, and Peter (Ramona) of South Surrey, BC; eight grandchildren: Andrea (Andrew) Cochrane, David (Kristina), Matthew (Erin), Andrew (Carly), Jeff, Lauren, Carmen and Olivia Gemmell; five great grandchildren: Ben, Olivia, Sam, Max and Isla who is soon to be a big sister. He was predeceased by his sister, Frances Powell, of Winnipeg. Andy served during WWII aboard HMCS Prince Robert, which was sent to Hong Kong at the end of the war to repatriate Canadian prisoners of war. After the war he went on to earn his degree as a Chartered Accountant in 1949. Shortly thereafter Andy joined Beaver Lumber, where he held several senior management positions during a 34-year career that saw he and Marg make life-long friends in stops from St. Catharines, to Oakville, Edmonton, Winnipeg and Mississauga. 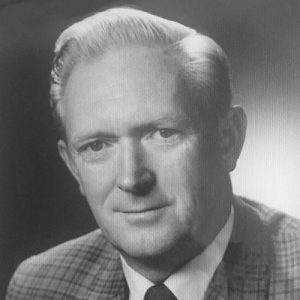 His last responsibility with Beaver Lumber, then owned by the Molson Companies, was the introduction and successful implementation of the Franchise owner/operator program. Andy retired in 1981, settling in the Okanagan Valley to spend the spring and summer months while wintering in Naples, Florida. He was an avid golfer whose career featured five holes-in-one and lots of happy memories with his many golfing friends. During his retirement years Andy explored his artistic talents, producing numerous pieces in a variety of mediums that are proudly displayed in the homes of his family. Much loved by those close to him and respected by all who had the good fortune to get to know him, Andy will be missed. A private, family service will be held to inter his ashes in their final resting place. The service for GEMMELL, Andrew Gordon is scheduled for A private, family service will be held to inter his ashes in their final resting place.. Below you will find the map for the service location and the contact information should you have any questions. I knew Mr. Gemmell only briefly as a helper for him and his wife a couple of months ago. He was quite a gentleman, and very much in love with Margaret. My heart aches to know he is gone, and my sincere sympathy to the family. Thank you for the privilege of meeting your parents, if only for a short time. Thanks, Susan, for your kind thoughts. You helped my parents at a time they most needed help to get through the day and also a time when they were most hard to please. Thank you so much for all you did for them, it was very much appreciated. My condolences to the family on Andy’s passing. I knew Andy when we both worked for Beaver Lumber. I live in Kelowna now and wished I had know that he lived here. My prayers are with you all. I have known Andy for over 21 years professionally. He was an honest and selfless gentleman. Andy was always interested in my life and my family. I valued our conversations and I have learned so much from his wisdom Andy lived a wonderful life and he will be dearly missed. My heartfelt condolences to the Gemmell family on the passing of Andy. I was blessed to had met Andy many years ago. A true gentleman; he will be dearly missed. Bob & Monica, so sorry to hear of your recent loss. George knew Andy for many years via the golf course, and more recently through our residences. We know he will be greatly missed and send our condolences. Carol and George, thank you for remembering Andy. Margaret is really lost without him but we are giving her all the love and support we can now. Andy really loved both aspects of your connection to him,, KGCC and Sandstone! Great places to be a part of and one we both enjoy very much as well.